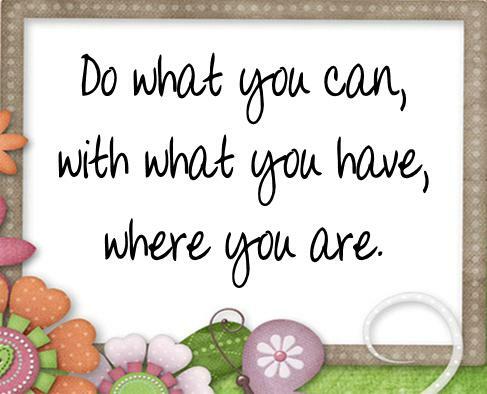 We all acquire things as we live our lives, these are reflections of our taste, creativity and adventures in living. Here are some of mine. This little Angel on my piano was a gift from the Women's Club Choir of Danbury, CT. I was their choir director for about a year, leading them in song. 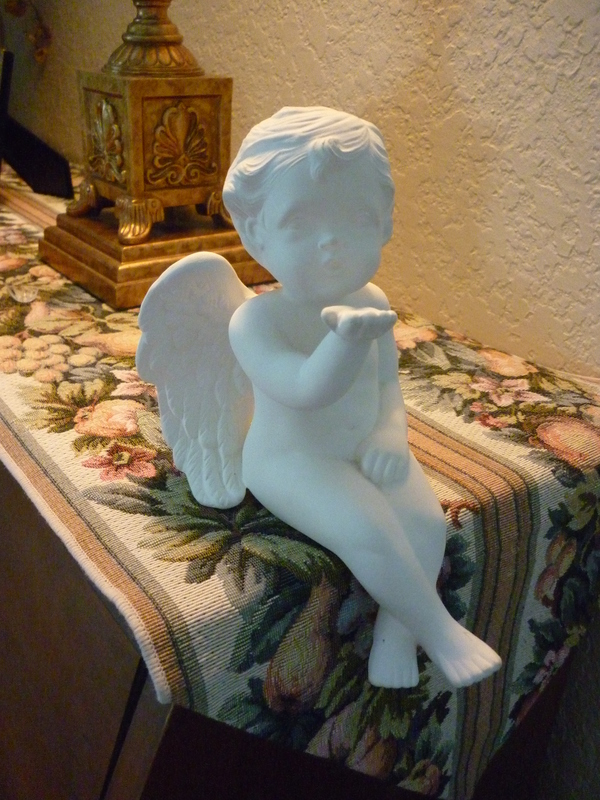 They gave this angel to me as a going away present when I moved to Florida, to remember them by - blowing me a kiss. 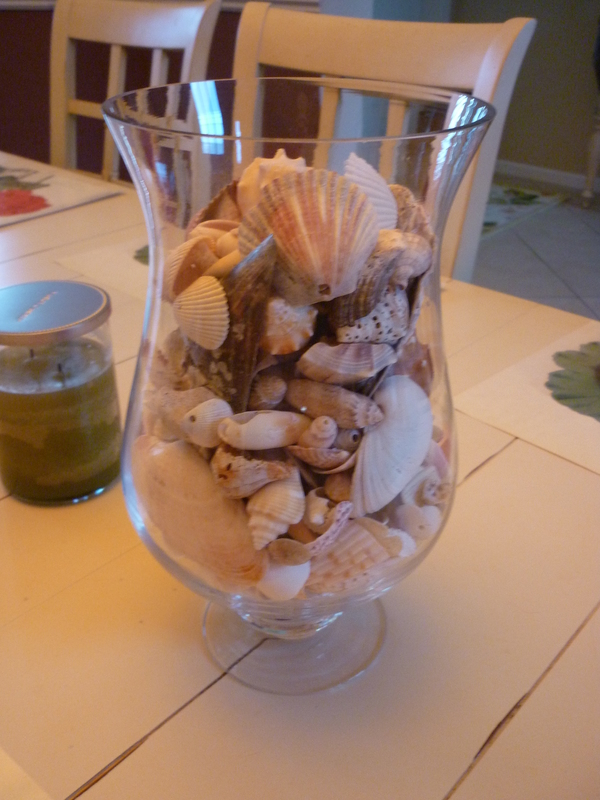 Shells from Sanibel Island Beach- one of my favorite places to visit. I collected these shells over the years, and they always bring back fond memories. This little house was a gift from my husband one Christmas. It reminds me of living in New England and family gatherings. If you look through the little front window, you can see a set table with a little turkey dinner. 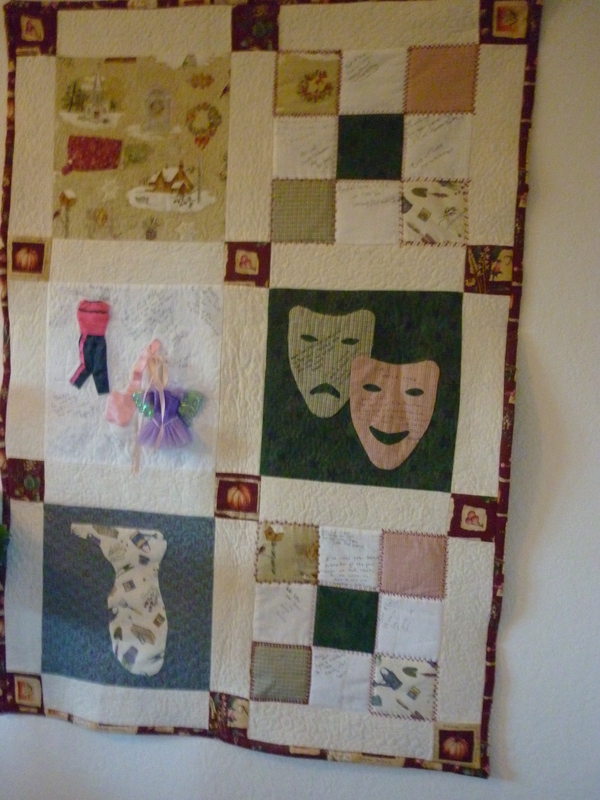 This is the quilt Helen made for me, signed by all my CT friends. It's a beautiful reminder of friendship and love. 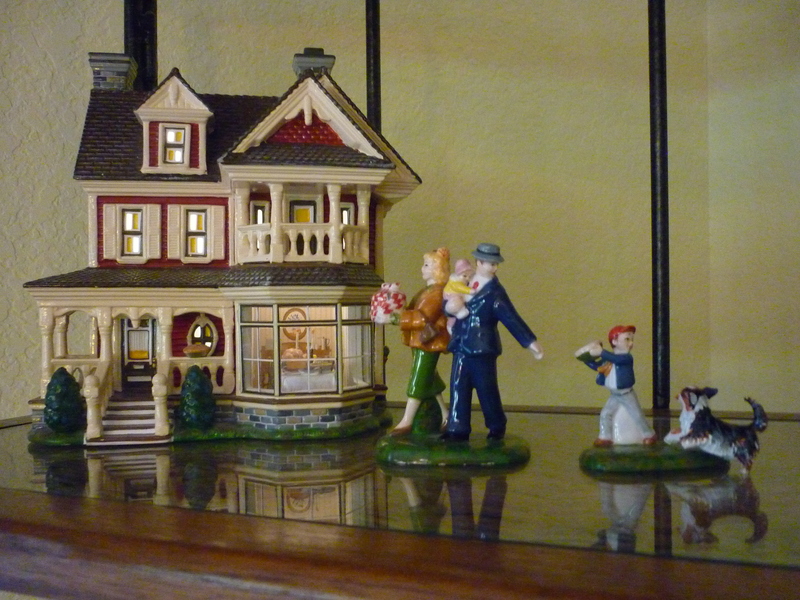 From my Longaberger collection. I have many, now tucked away in my craft room. They just don't quite go with Florida decor, but I love them anyway. 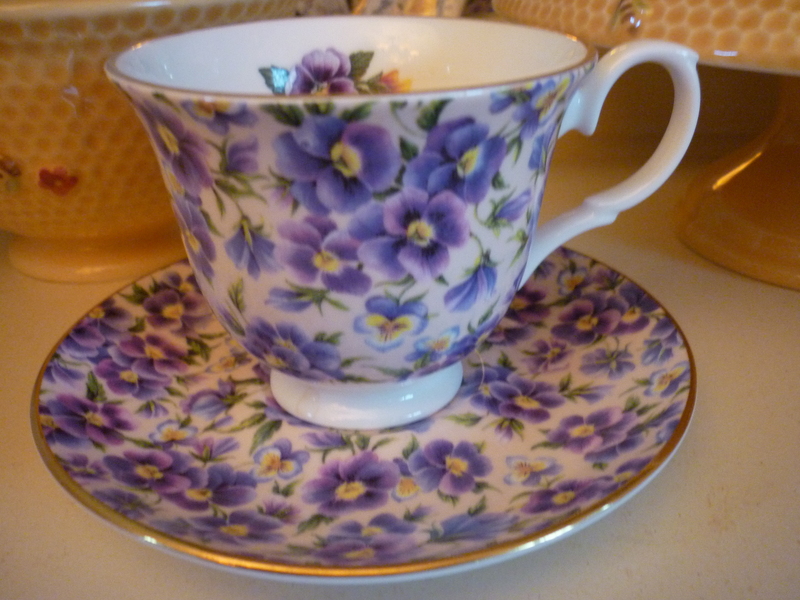 One of my favorite tea cups. I love purple flowers. Well, that’s it for now. I’m sure there will be a part 2 (or 3 or 4) sometime soon. Thanks for visiting! 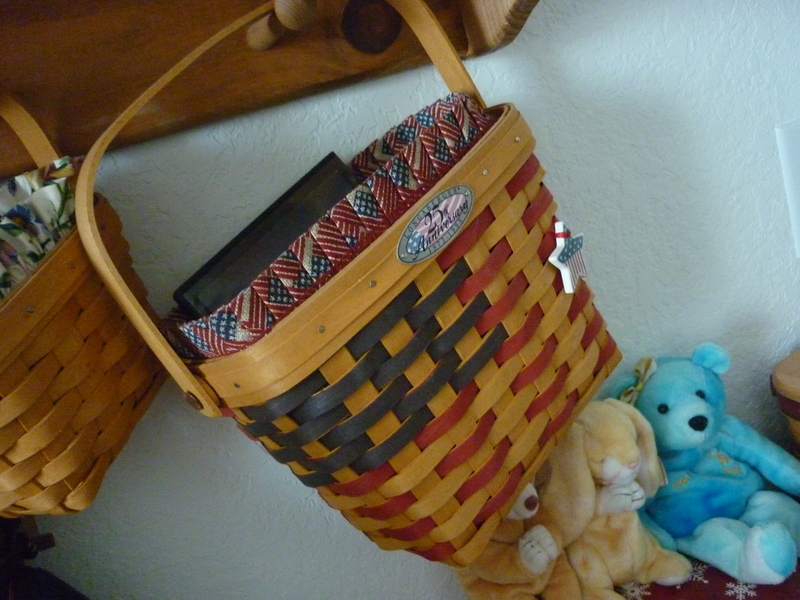 This entry was posted in Life and Times and tagged Choir, Longaberger baskets, New England, quilts, Sanibel Island, tea cup. Bookmark the permalink.